We have been serving the Northern Rockies with a large variety of weekly classes and many weekend and week-long workshops for over twenty-six years. With over eighty years of combined Iyengar Yoga teaching experience, our most important gift is the high quality of our teaching and the large variety of classes that we offer. The word ‘Yoga’ is often translated as ‘Union’ or, more fully, as ‘the union of body, mind, & soul’. In the Yoga Sutras of Patanjali (the basic and ancient text of Yoga), Yoga is translated as ‘the cessation of the fluctuations of consciousness.' Yoga has eight limbs or aspects: Yama (moral), Niyama (social), Asana (tuning the body and the mind through the practical application in the poses), Pranayama (control of the subtle energies through the use of the breath), Pratyahara (relaxation and internalization of the senses), Dharana (concentration), Dhyana (meditation) and Samadhi (the ultimate state of self-realization). These are collectively known as Ashtanga Yoga (eight limbs or aspects of Yoga). Of these, the first five can be taught; the remaining three are attained through sincere practice of the others. Yoga is not a religion. Yet, its practices and precepts can fit with any religion. Most people are introduced to Yoga through the practice of Asanas or poses. The word ‘Asana’ can be translated as ‘to bring together the body and mind to form a quiet comfortable seat from which to observe the soul’. Yogacharya (Master Teacher of Yoga) B.K.S. Iyengar is a foremost authority on the subject of Yoga. He has made it possible for ordinary humans from all walks of life to experience the practice of Yoga and the wisdom of the Yoga Sutras. He has done so through teaching the practical application of these teachings. He finds the meaning of the Yoga Sutras by practical search and regular practice, experimenting on himself before sharing his experiential knowledge amongst his students. Yogacharya Iyengar has shown and taught how all the aspects of Ashtanga Yoga are integrated in the practice of Asana and Pranayama; how practicing the asanas and the pranayamas teaches a man to concentrate on any subject; how a man can develop his discriminative faculty to attain physical poise and mental peace, intellectual clarity and emotional equanimity. Thus, by the practice of Yoga, one can become better at all they choose to do. His style of teaching which is now being followed by teachers trained by him (along with his daughter Geeta and son Prashant) has led to it being called ‘Iyengar Yoga’. Congratulations to Julia Seaward who has passed her Iyengar Yoga Intermediate I certification. We are so proud of you Julia and always knew you would pass. 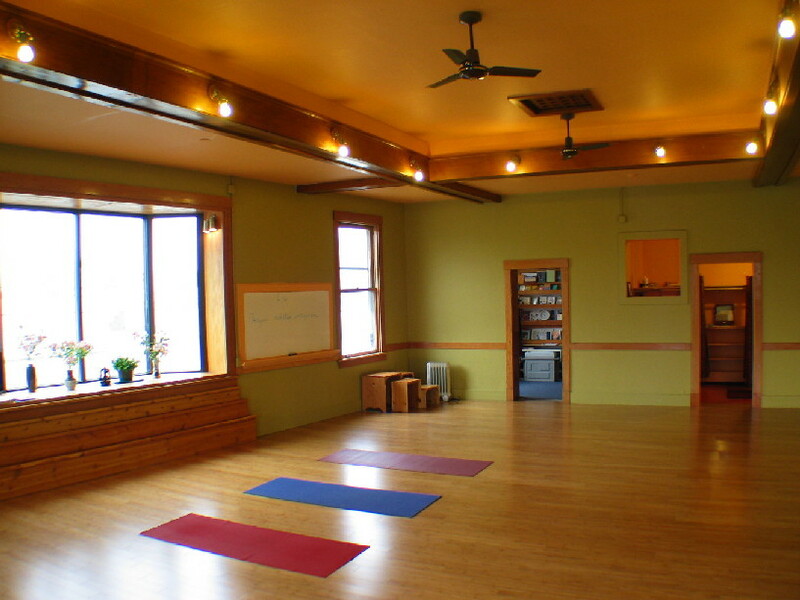 Congratulations too to Ananda Johnson the newest Certified Iyengar Yoga Instructor in Montana! We're so proud of you and appreciate all your hard work. A little while back their were just the two of us CIYTs in Montana, now there are nine! Come see our studio space!